So, you’re running a business in the promotional products industry, and you find that your sales have been relatively stagnant. You have a handful of recurring customers, but you lack a flow of new customers. What do you do? Do you throw your hands up in defeat, or do you take action? It’s a lot easier to take action when you know where to start. That’s what we are here for: to guide you in the direction of your goals, and give you the necessary tools to become the best entrepreneur you know you can be. When it comes to business, knowledge is power. 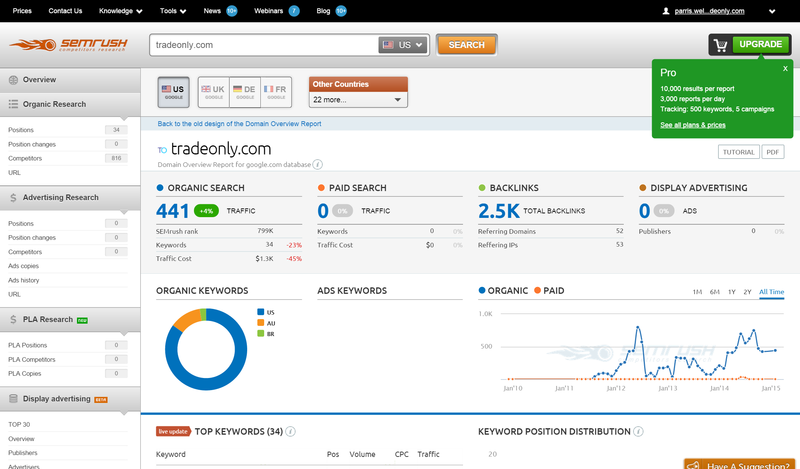 These 5 eCommerce analytics tools will help you monitor your website traffic, maintain an online presence, and monitor your competitors to name a few. Each of these tools allows you to participate in a free-trial; if you’re not quite sold on the functionality of these eCommerce tools, test them out! I’ve been knocking on the Google Analytics door for a while, now. This has proved to be one of the most powerful tools for a myriad of reasons. 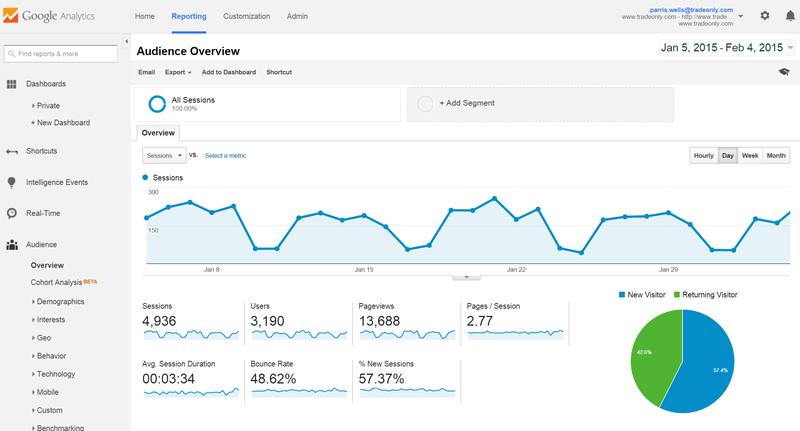 In case you missed my blog New Years Resolution: Mastering Google Analytics, you can view the article with the link provided. Google Analytics is a completely free tool for Google users. All you have to do is set up your account, and you get free access for life. If you aren’t a big fan of Google Analytics, you have another option! KISSmetrics is very similar to Google, only KISSmetrics costs you a pretty penny. 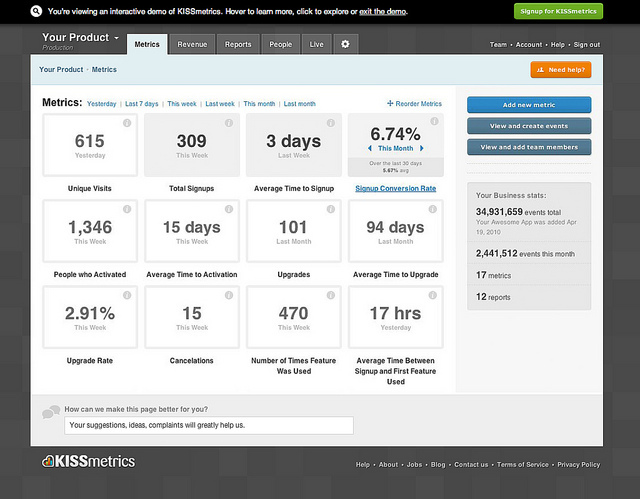 KISSmetrics has more features than Google Analytics, so the price is on par with quality. Plus, you don’t have to connect your KISSmetrics account with your Google profile. This is one of my favorite platforms. 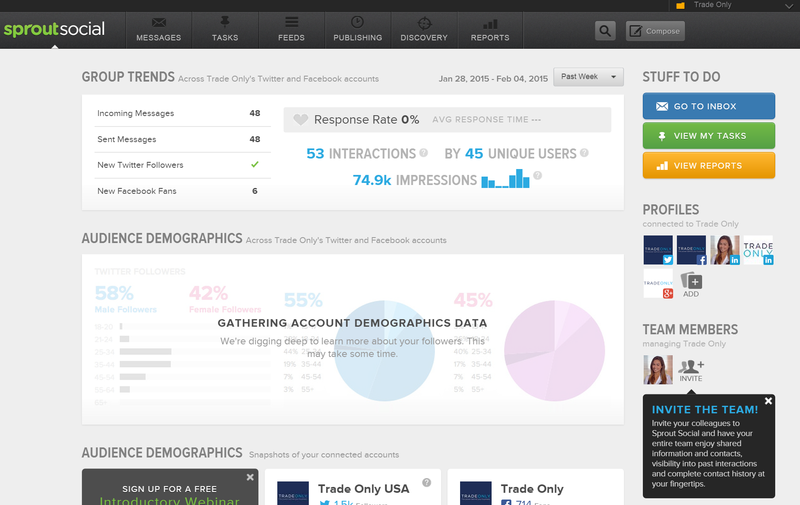 SproutSocial allows you to monitor your brand online, and see all social media data in one place. SproutSocial makes social media manageable, especially for small business owners! Audience breakdown; who are you really talking to? 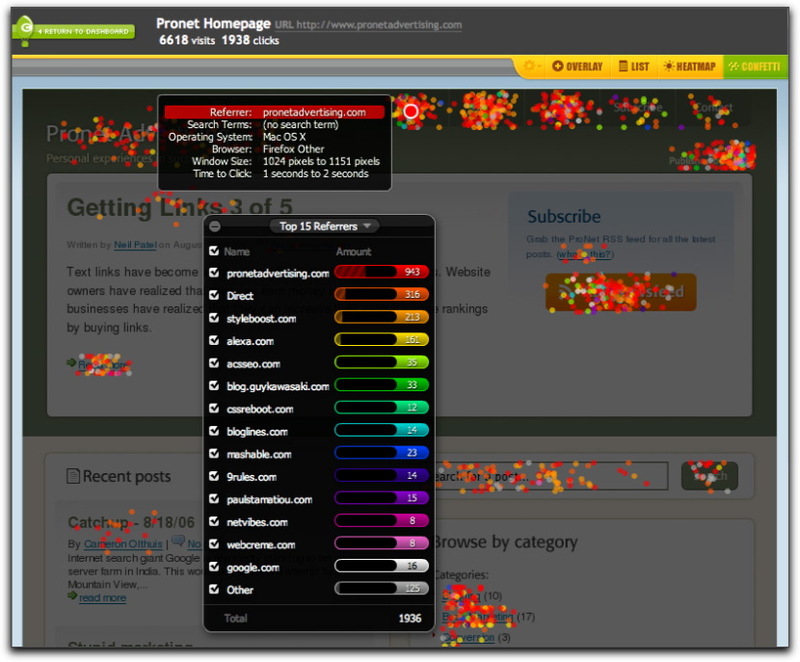 For those of you unfamiliar with heat maps, they analyze the clicks on your website, providing you with concrete information on which sections of your website are favored by your audience. What makes CrazyEgg so awesome? SEM rush is a great tool for the promotional products industry! There are so many distributors in the promotional products industry, it’s difficult to determine where you place in comparison. SEM rush allows you to create an in-depth competitor analysis and determine where you rank in your industry. 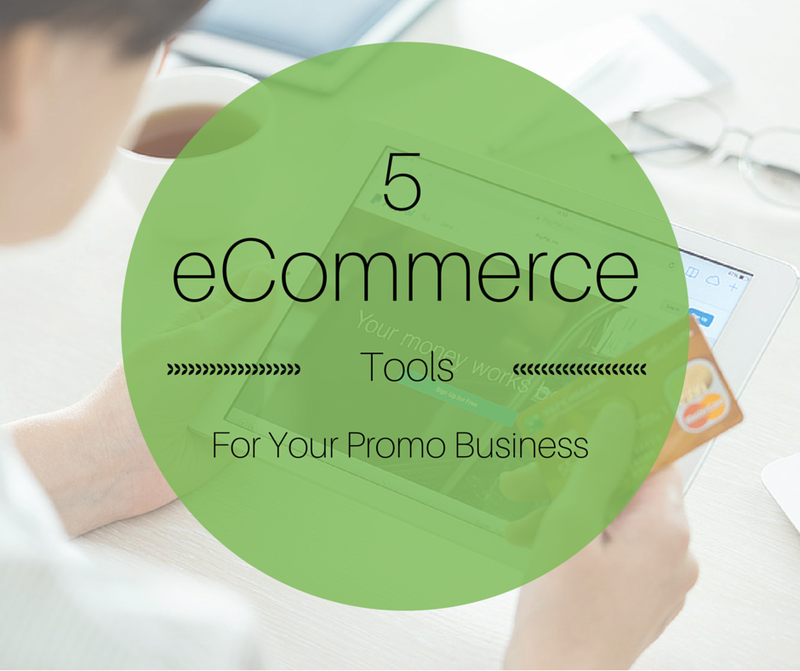 The Internet is full of helpful tools for your eCommerce business! I hope some of these tools prove to be useful for your promo business. If you have any questions, feel free to ask! seat and saw it, I need to say that I genuinely took in a lot!